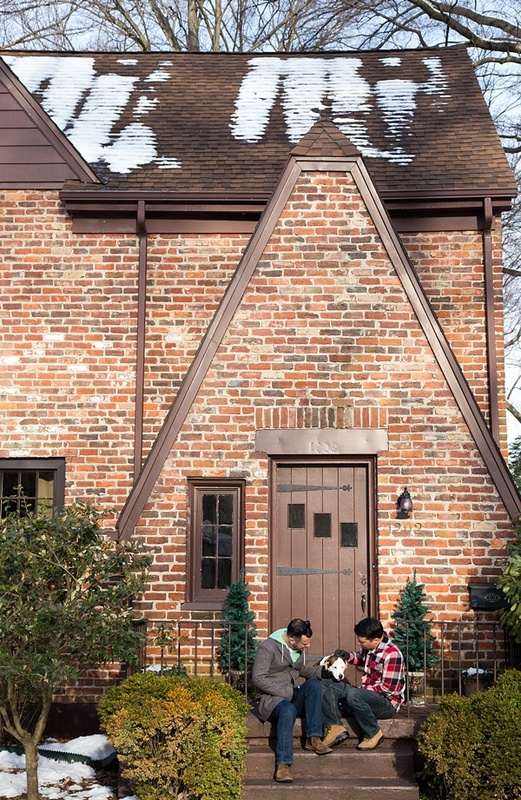 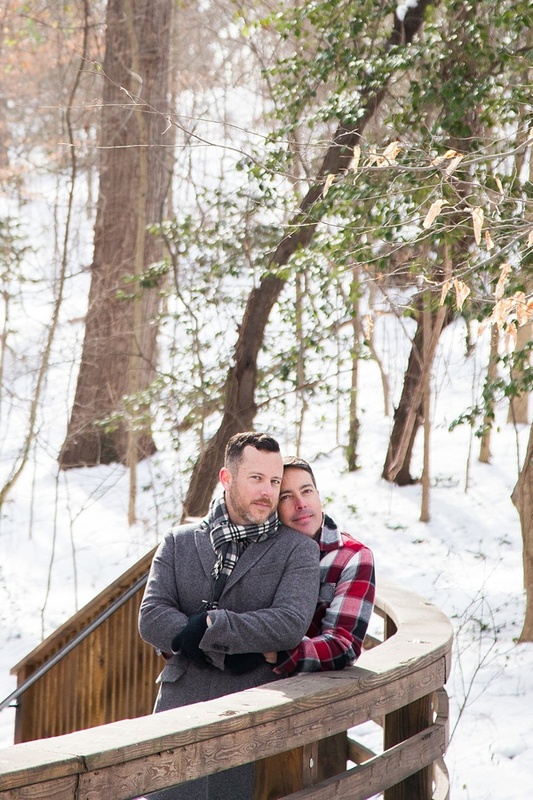 With a mutual love of theatre, Richmond culture, and a Rocky Horror Picture Show production of destiny at Barksdale Theatre, Dan and Jim met, fell in love, and have been inseparable for over 16 years. 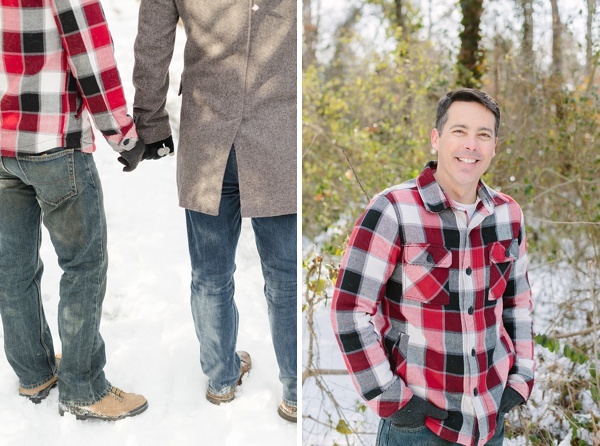 So on the very day in October 2014 that marriage equality became a reality in Virginia, Dan quickly found a ring on short notice -- a delicious Ring Pop to be exact! 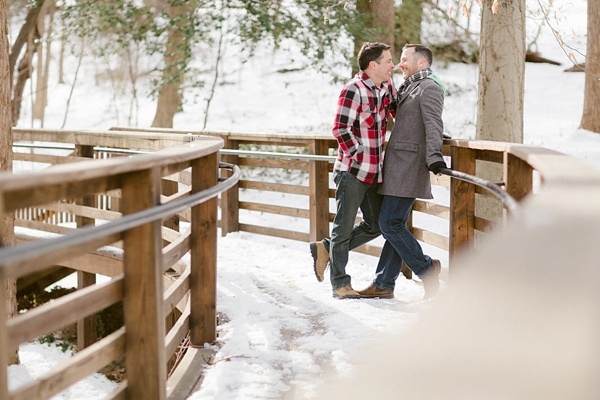 -- and proposed to Jim. 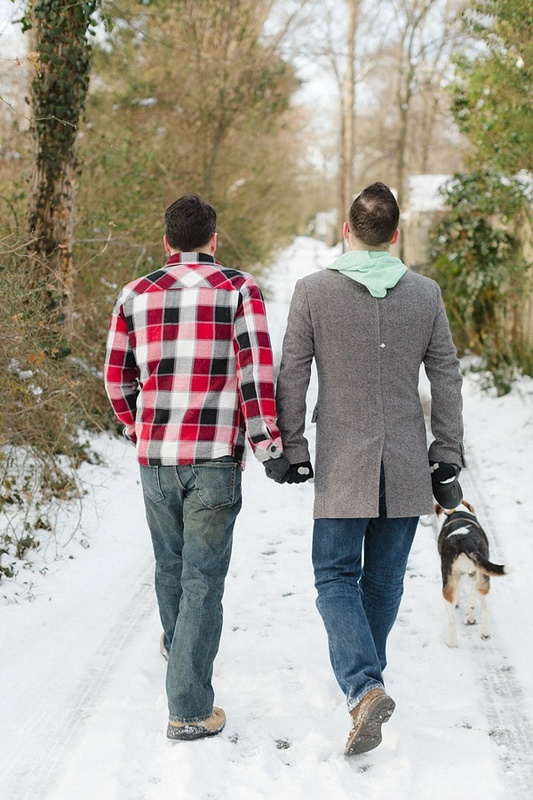 Captured by David Abel Photography and Michael Simon Photography, these two lovebirds had a cozy and relaxed winter engagement session with their pup, cups of warm coffee, and snuggly moments. 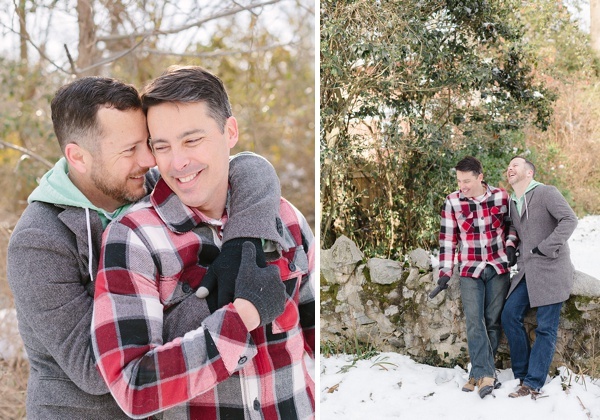 And with beautiful snow-dappled trees as your backdrop, it just goes to show you that winter photo sessions are just as beautiful as they are in the springtime!